Saturday, November 03, 2018 1:00 am DYLAN SINN | The Journal Gazette The last time Notre Dame and Northwestern met in Evanston, Illinois,was in 1976, a game the Irish won 48-0. Fitzgerald has led Northwestern for 13 seasons, and the Wildcats have already beaten Notre Dame (8-0) once during his tenure, a 43-40 victory in South Bend in 2014. Notre Dame's task today could become a lot more difficult depending on the status of linebacker and captain Drue Tranquill, who sprained his ankle against Navy and has been a limited participant in practice this week. The Fort Wayne native and Carroll graduate participated in seven-on-seven drills Thursday, and Kelly said he “moved around pretty good,” but it's still unclear if he'll be able to play. 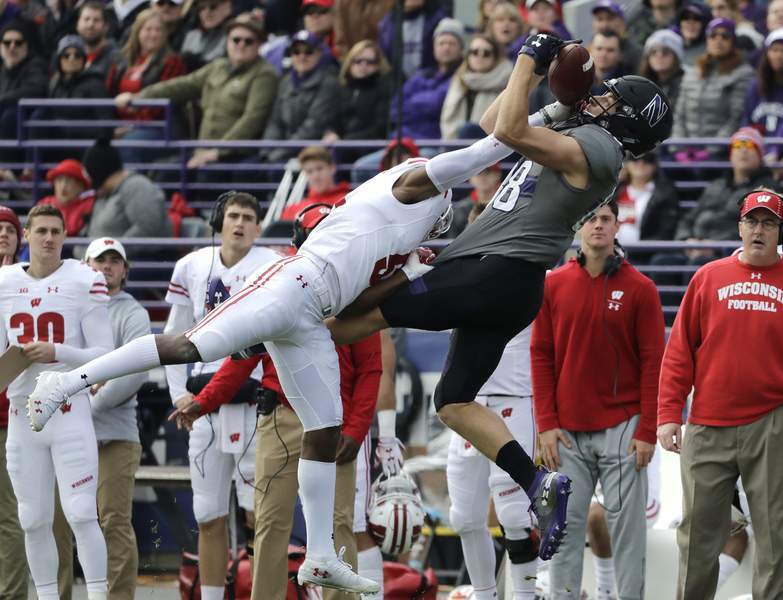 Whether Tranquill is on the field or not, the Irish defense will be tasked with stopping a potent Northwestern passing attack led by NFL prospect Clayton Thorson at quarterback. Thorson has a bevy of talented pass-catchers he can call upon, including Homestead graduate Bennett Skowronek, who is second on the team with 410 yards receiving.